Mateus is a right footer just as 80% of Boavista FC. Back in 2017, Portuguese forward Mateus'' contract with Boavista FC (Portugal), the club he is still a member of, took effect. Having been born in 1984, on June 19, his age of 34 makes him senior to the average player of Boavista FC. Measuring 174cm, Boavista FC's average player height succumbs Mateus by 9cm. He was used in 26 of the matches in the present term. 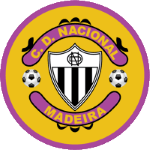 The club of Mateus, Boavista FC, presently holds twelfth position in Primeira Liga (Portugal). Primeira Liga 16/17 (Portugal) has been his best season so far since he reached both his personal highest amount of played matches and given assists. The current Primeira Liga 18/19 (Portugal) term proves to be good for Mateus, as he managed to score four times (0.15 per match) and provide an assist once. Basically, 17.4% of Boavista FC's goals in Primeira Liga 18/19 were caused by him. He played 214 matches in total and hindermost appeared yesterday. On average, he has participated in 10.7 matches per season. 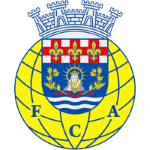 Prior to joining Boavista FC, he played for FC Lixa, FC Arouca, CD Nacional and Casa Pia Atletico. Concerning the latest matches, Mateus' club lost in Primeira Liga. 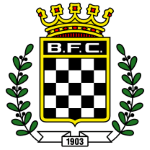 He is playing as forward in Boavista FC together with Gustavo Sauer, Rafael Lopes, Alberto Bueno, Matheus Indio, Jeka, Andre Claro, Perdigao, Federico Falcone and Yusupha Njie. While being substituted more out than in this season, we can observe that this trend came from last season. Moreover, he shows 78 out and 52 in substitutions in total. Considering he weighs around 158.73lb, Mateus is approximately 9lb lighter than the average player of Boavista FC. At Boavista FC, he is the owner of strip number 9. His shortest spell with a club was five months in FC Lixa (Portugal). 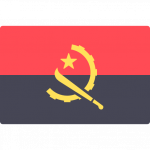 The longest period that Mateus stayed in a team was twelve years and 11 months in Angola (Angola) Already 32 times a card was given to him in his tenure.